Greenland’s humane prisons experience, if torcher-loving TPLF regime could pick a lesson, despite the nation’s poverty! CNN) – Nestled into the stunning Arctic landscape with panoramic views of sparkling fjords and snowy mountains, Ny Anstalt could easily be mistaken for a luxury ski lodge. 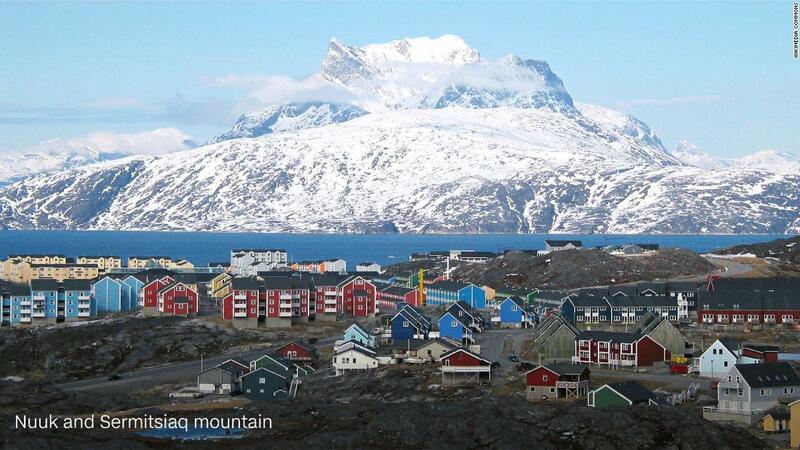 But this stylish complex in Nuuk, the capital of Greenland, is actually a prison. As any onlooker can deduce, when it opens in 2019 it will not be a normal penitentiary. It will be a “humane prison” — a correctional facility that emphasizes rehabilitating criminals through positive design, rather than punishment. Exponents of the “humane prison” philosophy believe that if prisons mimic the conditions of normal life, as far as is possible, offenders have a greater chance of successful reintegration into society, and less chance of re-offending. Ny Anstalt, however, is more than an architectural accomplishment for the country. It hopes to end a human rights issue that has haunted the island nation for decades. Scandinavian countries have pioneered humane prison design because “their societies are characterized by a strong welfare state and relatively high levels of trust,” according to Yvonne Jewkes, a professor of criminology at the UK’s University of Kent. In 2010, a new gold standard for this type of prison was set by a Halden, a 227-inmate, high security, Norwegian penitentiary, often cited as the “model” humane prison. Its facilities include a gym, a rock-climbing wall, jogging trails, a soccer field, a library, a music studio, a dental clinic, and a Family House where prisoners can stay overnight with their partners and children. In 2010, it won the Arnstein Arneberg Award for interior design, although it has also been criticized for being too liberal. The statistics seem to back her up. “A number of studies indicate that reoffending rates are relatively low in Scandinavian countries — often less than 30%,” says Jewkes. Rates appear to be much higher in the US and UK. A study by the US Bureau of Justice, which tracked prisoners from 30 states after their release from prison in 2005, found that within five years over three quarters (76.6%) had been rearrested. In the UK, government reporting from 2015 revealed that 44% of adults are reconvicted within a year of their release. “I don’t think beautiful, architect-designed prisons would be palatable to either the government or the public in the UK,” he adds. Humane prisons are seen as prohibitively expensive. Running Norways’s Halden prison costs $150,000 per prisoner per year, according to the Norwegian Correctional Service. Pritchard says the current average annual cost per prisoner in England and Wales is $50,000, while HMP Berwyn — which benefits from economies of scale — will operate at around $20,000. “Accommodating 85,000 inmates in multiple small units is not economically viable,” he says. Ny Anstalt’s running costs have not yet been finalized. “No doubt it will increase the current budget, but in terms of the human factor it is very much worth the expense,” says Nathanielsen.